The TNA and the SLMC have decided to vote against the government resolution with regard to 13th Amendment when it is brought for voting in the Eastern Provincial Council. This resolution in support of the governments move to make changes to the 13th Amendment has already been passed in 6 other Provincial Councils except Eastern and Western PCs. Chairman of the Eastern PC Ariyawathi Galappaththi told our news team that she has not so far received such a resolution. Political sources stated that the government will be unable to pass this resolution if it is presented to Eastern Provincial Council. The Eastern Provincial Council is constituted of 33 members, and 22 out of them are from the government side. 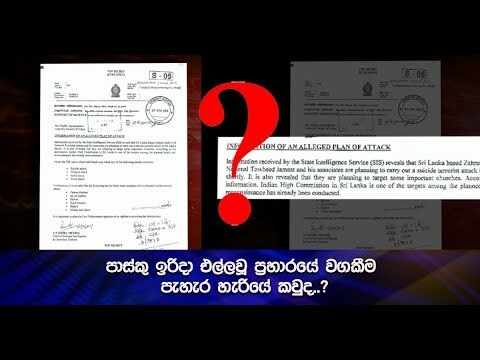 The government side consists of 7 members from the SLFP and another 7 from the SLMC. 6 members are from the two political parties led by Ministers A.L.M. Athaulla and Richard Badi Udin. 2 other members of the government side are represented by TMVP and NFF. The opposition of the Eastern Provincial Council is constituted of 15 members and 11 out of them are from the TNA. The balance is from the UNP. UNP Eastern Provincial Councilor Chandradasa Galappatti said that his party will vote against the resolution when it is presented for voting. Political sources also stated the TMVP has also decided to vote against the resolution intending to defeat the move to dilute the powers of the 13th Amendment. 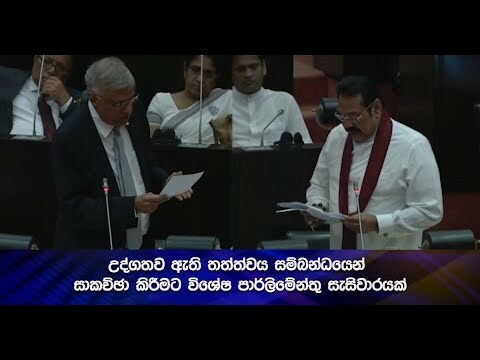 The UNP stated that the government is fallen on the horns of a dilemma with regard to the 13th Amendment. UNP Media Spokesman MP Gayantha Karunatilaka addressing a media briefing held in Colombo today had this to say. Meanwhile addressing another media briefing held in Colombo today, Minister Wasudeva Nanayakkara said that he is sure the government would not repeal the Provincial Councils. Addressing a public gathering held today Minister Reginald Cooray said that SLFP has no idea to fully repeal the 13th Amendment. Meanwhile disciplinary action will be taken against Sabaragamuwa PC member Wathsala Janadari Pathmasiri and Leader of the House of the North Western PC Samanpriya Herath. Party Deputy Secretary Anil de Soyza said that a week ultimatum is given to the two Provincial Councilors in order to submit their explanations.